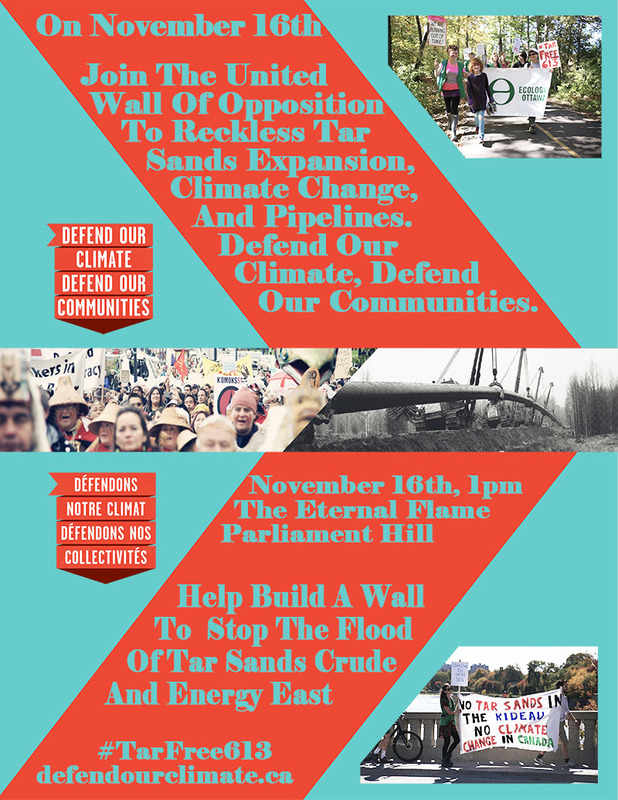 On November 16th, help us build a united wall of opposition to pipelines, reckless tar sands expansion and runaway climate change at local events across the country. Help us Defend Our Climate and Defend Our Communities. We 're going to be joining dozens of other communities across the country standing united against climate change and tar sands expansion. We want to stop the flood of Tar Sands crude that Stephen Harpers wants to bury our city, our country, and our climate under. Here in Ottawa, we're going to be gathering at the Eternal Flame on Parliament Hill at 1pm - Saturday November 16th.